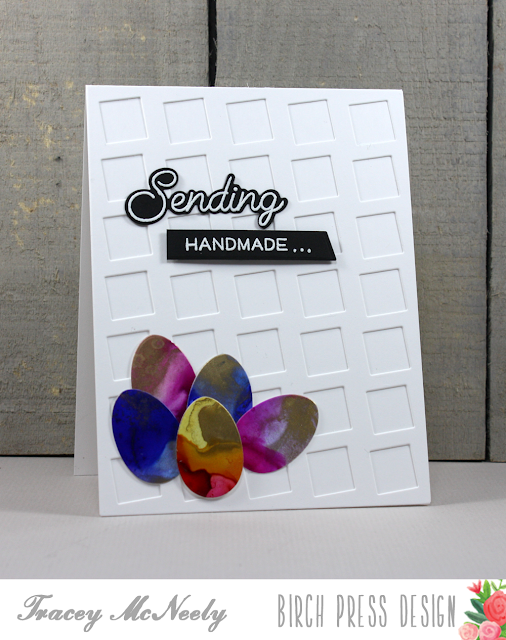 Today I have a video tutorial up on the Birch Press Design Blog describing how I created my colourful Easter eggs for my card shown below. Hope you head over to check it out and hope that I've inspired you to try something new today. A lovely job on the card and eggs. Wowwwwwwww! Those eggs are gorgeous!!!!!!!!!!! Your alcohol inking turned out beautifully, Tracey! I love all the patterns and colors and I think they look amazing on your Easter eggs! Your cover plate and sentiment are perfect, too! The eggs are so regal looking Tracey, beautifully done! Oh, my goodness!! 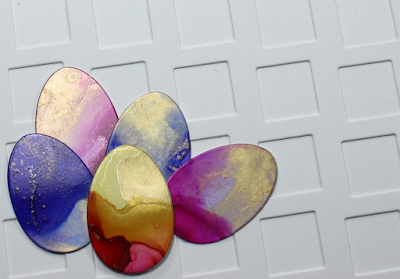 Those eggs are fabulous in color!! Love the background die, too! Awesome card...love it!! Beautiful eggs, Tracey. I watched briefly on FB, gonna queue it up on yt.